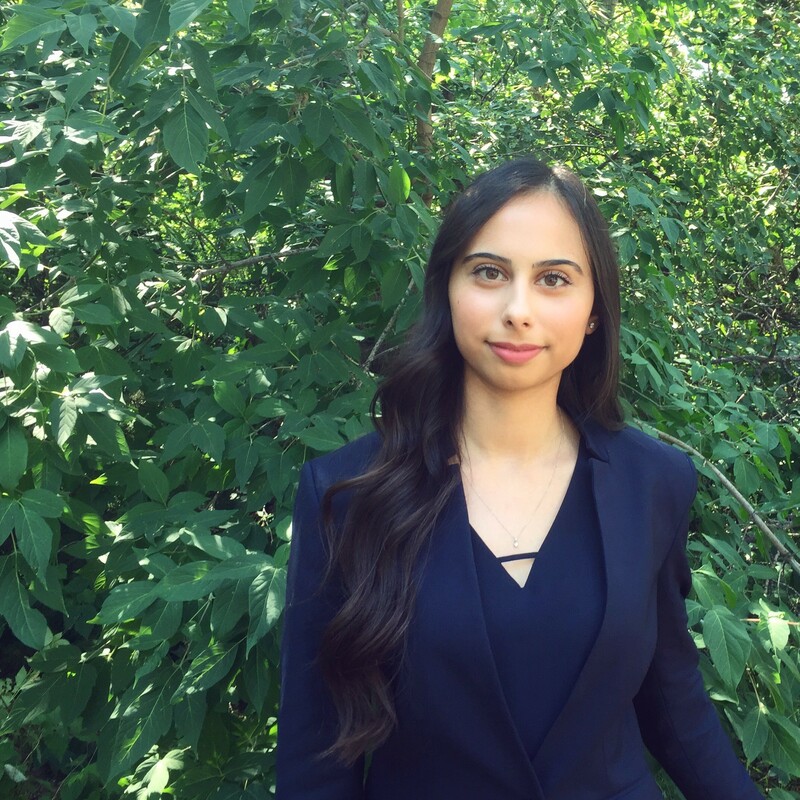 Moustarah & Company are proud to announce that our current summer student, Sunam Jassar, will be joining us for her articles in 2019/2020. Ms. Jassar has a keen interest in the practice of personal injury law, and we are excited to have her on our team. Sunam Jassar is currently completing her law degree at the University of Saskatchewan. Ms. Jassar attended the University of Alberta from 2014 to 2016, studying Biological Science. In 2016, she was granted admission to the University of Saskatchewan’s JD Program after only two years of undergraduate study. Q: Everyone comes to their legal studies with a slightly different background. What did you do before you went to law school and how do you feel that your pre-law studies and experiences have influenced your legal studies and career so far? A: Before law school, I was in the process of completing a science degree with a focus in biology and physics. A science background and experience working with patients has influenced my decision to pursue personal injury law. While science and law are quite different, there are parallels between my science background and working in personal injury. Throughout my science degree I also did clinical research with various doctors and have gained experience interpreting patient charts. Being familiar with medical terms and working with other professionals has proven to be useful so far in my capacity as a summer student in personal injury law. Q: What was your favourite class in law school? A: I was drawn to Health Law because of my clinical science background and it was by far one of my favorite classes in law school. Q: What drew you to working at Moustarah & Company? A: I wanted to work in a firm with a supportive environment that would allow me to grow and develop my legal skills. The lawyers at Moustarah & Company have been very approachable and have given me many unique learning opportunities. Throughout the summer, I have been given a variety of assignments and projects that have exposed me to the different aspects of personal injury law. My summer experience at Moustarah & Company has been both challenging and highly rewarding. Q: Why do you want to work in personal injury law? A: I find personal injury law interesting and different from other areas of law. In personal injury, you work with individuals who have been injured and may not be in a position to advocate for themselves. You develop a close connection with clients and are able to guide them through the complex process of pursing a personal injury claim. The nature of the work and the unique lawyer-client dynamic has drawn me to this area of law. Q: You are attending law school at the University of Saskatchewan. What is the number-one under-rated restaurant in Saskatoon that you think everyone should go to? A: Thien has never disappointed me and I would recommend it to anyone who enjoys Vietnamese cuisine! Q: What do you do outside of office hours for fun? A: I try to stay active by swimming and playing badminton. I’m also enjoying my time in Edmonton as much as I can before I head back to Saskatoon! Interested in articling for Moustarah & Company? We are still looking for a student to start in the fall of 2018! Click here to learn more.